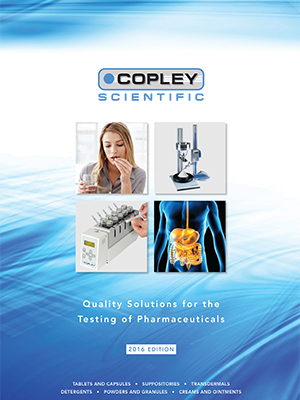 Copley Scientific – Apex Chromatography Pvt. Ltd.
Copley Scientific was founded in 1946 in Nottingham, UK, by Frank Copley, to supply laboratory equipment to the local pharmaceutical industry. Today, still family owned and managed, we are recognised as the world’s leading manufacturer of inhaler test equipment, in addition to being a trusted provider of test instrumentation for other pharmaceutical dosage forms. This focus on pharmaceutical test instrumentation began in 1957. Subsequent decades saw marked expansion and today we manufacture a range of innovative equipment for tablet dissolution, disintegration, friability and hardness testing, and for testing creams, ointments, powders, suppositories and transdermal patches. The 1980s saw respiratory drug delivery gain commercial momentum and, in parallel, the development of new solutions for the testing of orally inhaled and nasal drug products (OINDPs). Early success was boosted in 2000, with the signing of a strategic partnership agreement with MSP Corporation which enabled us to become the first company to offer the full range of cascade impactors specified by the US and European Pharmacopoeias for measuring the aerodynamic particle size distribution for all OINDPs. 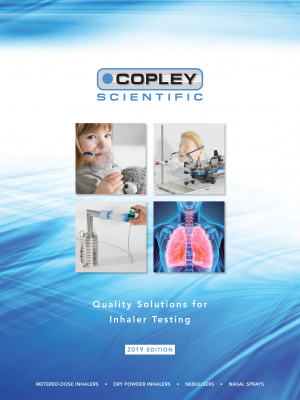 Our comprehensive range for inhaled product testing now extends to equipment, software and services for every stage of development and manufacture, of both innovator and generic products, topical and systemic. We continue to work closely with industry groups and leading experts to bring relevant new products to market, with all equipment backed by expert training and lifetime support. Company headquarters remains in Nottingham, in a purpose-built facility, but we also have a well-established sales and service company in Switzerland and secure partnerships in place to serve dynamic and growing international markets.